In my previous blog, ‘Making sense of sin, heaven and hell’ I referred to how I began to go to seminars given by Carol Lamb, having been drawn to them by a desire to gain a spiritual understanding which my Catholic upbringing couldn’t fulfil. Although I was keen to learn more about Carol’s perspective on reincarnation and the journey of the soul, I felt a little uncomfortable at first when attending these seminars. She would often refer to the human energy field and other aspects of metaphysics that were totally unfamiliar to me but not to the other attendees who were clearly well versed in these topics. As a result, I felt a little like a child coming to a new school. I wanted to contribute but was anxious to avoid saying anything that might draw attention to my lack of knowledge. Another factor which added to my discomfort was that I had a science background with a university degree in physics and some of the metaphysical concepts being discussed were just as heretical to a physicist as a belief in reincarnation would be to a Catholic. And here was I, a physicist who was born and raised a Catholic! I was determined to keep an open mind about everything that I was learning but it was sometimes hard to avoid assessing it through the lens of my past training. One of the first seminars I attended covered the topic of miracles. I was a regular church-goer until leaving school so was already very familiar with many of the miracles found in the bible and the lives of saints. I wasn’t sure what Carol’s perspective on this topic would be but I was looking forward to hearing it. After all, many of her therapy clients had made seemingly miraculous recoveries from conditions that conventional medical treatment couldn’t cure. She could therefore speak with some authority about this subject. We use the term ‘miracle’ as a label for unusual happenings that we can’t explain or understand. 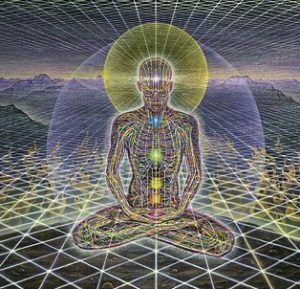 According to Carol, a knowledge of the structure of the Human Energy Field and how this energy works provides the key to an understanding of many so-called miracles. Unfortunately, mainstream science chooses to ignore these concepts and is usually sceptical about any phenomenon that it can’t explain. Carol then began to talk about the visions of St. Bernadette and the Lourdes miracles. Being a Catholic, I already knew this story well. 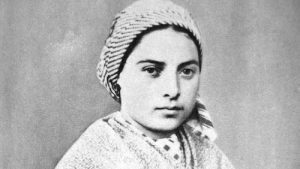 I had learned about St. Bernadette at primary school and churches frequently arranged pilgrimages to Lourdes, giving priests a good reason to remind their congregation of the miraculous events witnessed there. I’d also seen the film ‘Song of Bernadette’ more than once so I knew the story pretty well. I wondered whether Carol’s account might conflict with my own views on these miracles but this was not the case. Indeed Carol’s description of the events at Lourdes was just as I’d remembered them. She described the miraculous visions of Mary and her requests to Bernadette. She moved on to the spontaneous emergence of a spring, which Mary had foretold during one of these visions, and of the early healing miracles that occurred. For once, the seminar wasn’t challenging my preconceptions and I began to feel a little less out of place. Carol then mentioned that the story of St. Bernadette included a third, less well-known miracle. This intrigued me. I knew that not long after the visions had ended, Bernadette joined a convent and that just a few years later, she became ill and died. As far as I was aware, nothing else of note had happened to her. I couldn’t have been more wrong and I listened intently as Carol continued with Bernadette’s story. Thirty years after her death, the Vatican had established a commission to assess whether to confer sainthood upon Bernadette. This was a process which required civil and church officials, including two doctors, to identify her body so they removed the coffin from its tomb and opened it. To the astonishment of those present, there was no odour and no sign of decay to the body. Indeed some nuns who had witnessed Bernadette’s burial claimed that her body looked just the same as on that day. This was despite the tomb’s humid conditions having made her clothing damp and caused her rosary to rust. They reinterred the body but returned to exhume and re-examine it on two more occasions over the next 16 years. After the third and final examination, Bernadette’s incorrupt body was laid to rest in a crystal coffin and placed on public display in the Church of St. Gildard in Nevers, France. It remains there to this day. This story amazed and shocked me in equal measure. For some reason, I found this miracle to be even more impressive than the apparitions of Mary or the numerous miraculous healings that have occurred over the years at Lourdes. This may have been because I had already heard those aspects of Bernadette’s story many times. Nonetheless, it delighted me to discover that I could visit Nevers and witness this miracle for myself. It also shocked me that I had never previously heard this amazing story. After all, Bernadette was a much loved Catholic saint and I had a Catholic upbringing. So why on earth hadn’t anyone told me about this before now? Is it possible that the teachers and priests who taught me were also in the dark about this incredible miracle? Whatever the reason might be, it seemed strange that I should find out about the incorrupt body of St Bernadette from Carol, a non-Catholic who was teaching a doctrine of reincarnation! This seminar made quite an impact on me. I realised that my background had effectively blinkered me and that there was much more that I could learn about things that I thought I already knew. It also inspired me to visit Nevers, which I did before the end of that year. That visit, and the pilgrimage that I later made to Lourdes, moved me deeply, leaving me with many treasured memories. Several years later, I was delighted when Carol asked if I would provide some music for a short video covering the miracles of St. Bernadette and Lourdes. “Who Believes in Miracles” has been available on YouTube ever since, reaching thousands of viewers. I have embedded this film below for those who would like to learn more about Bernadette’s extraordinary life story. Not long after I visited Nevers, I witnessed another astounding miracle. It didn’t involve any saints; it was just me, my wife and some airline tickets. You can find out more by reading part two of this blog.